The injunction is part of a patent lawsuit brought against it by BlackBerry and was triggered when BlackBerry put up a $500,000 bond with the court. The money will be used to compensate Typo for its lost profits if it ends up winning the case. 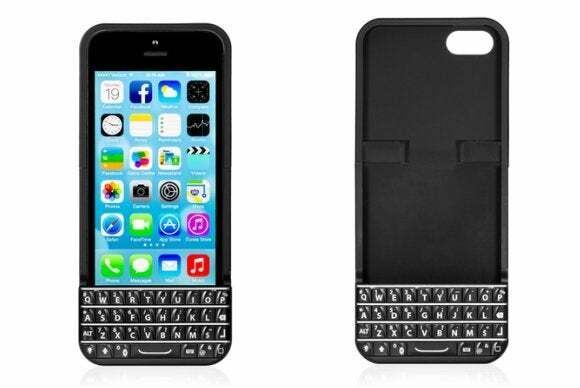 BlackBerry quickly filed suit, alleging that Typo’s keyboard is an “obvious knock-off” of the keyboards on its BlackBerry phones. The $99 product slips onto an iPhone 5 or 5s. A link to order devices on Typo’s website directed to an error page on Tuesday.